Mac App Store not suitable for plug-ins? The new Mac App Store won't host all types of OS X software. 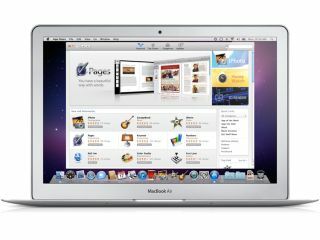 It looks like Apple's forthcoming Mac App Store, which will enable OS X users to buy and install applications with a single click, won't support AU and VST plug-ins. The Store, which will open early next year, will be similar to the one that iPhone, iPod touch and iPad owners use to download their apps, but Create Digital Music reports that Apple's Developer guidelines state that "Apps must be self-contained, single application installation bundles, and cannot install code or resources in shared locations." This would appear to rule out plug-ins, which install to shared library locations. The guidelines also state that Apps that require license keys or implement their own copy protection will be rejected, as will those that have a license screen at launch and use update mechanisms outside the App Store. These rules could also be problematic for music software developers, some of whom have given their (not always positive) opinions on the Mac App Store in Create Digital Music's excellent article. That said, we should point out that, even if you have the App Store, you'll still be able to install plug-ins and other applications in the normal way.